When you discover that your electric gate isn't moving, or starts opening back up every time you try to close it, odds are there's a problem with its opener. This device, which is often also referred to as the operator, can vary significantly depending on the type of gate you have. 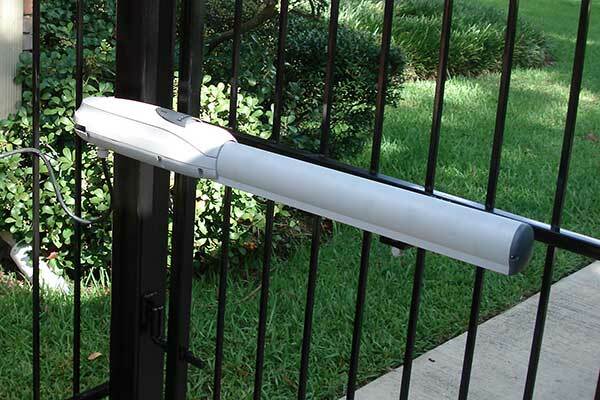 Seeing as most gate openers are constantly exposed to the elements (except for underground units, that is). If the opener isn't properly insulated, things like moisture and wind-blown dirt can lead to various electrical problems that can affect the circuit board or the wiring. There are also physical issues, like worn motor gears and damage to articulated lever arms or whatever drive system the unit uses. The older the gate opener, the more maintenance it will require. Apart from keeping it clean and tending to minor scrapes and scratches, it's important that you lubricate the relevant moving parts (like the chain drive, for example, if it uses one). 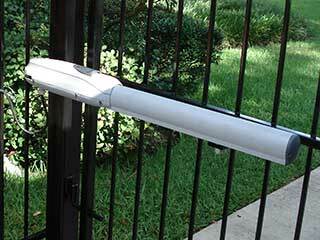 Maintenance matters a great deal with electric gate systems, especially with a unit as important as the automatic opener. It's also important to check the unit's photoelectric sensors. Should their lenses become scratched or dirty, or should they lose their correct alignment, you may find your gate reversing unexpectedly, or failing to do so when something gets in its way. There's a wide range of electric gate opener models for you to choose from. If you're looking to have a more modern model installed, or if you've never had one and you're interested in converting a manual gate to an automatic one, you'd be wise to consult with us here at Gate Repair Long Beach to ensure you get the right opener for your needs. LiftMaster, Eagle, and All-O-Matic are just a few of the major brands you'll find in our range of products. Don't let opener problems give you a hard time. Get in touch with Gate Repair Long Beach as soon as you suspect something's wrong and let the best professional technicians around (that's us) take care of everything.